The Japanese Defense Ministry is interested in acquiring Lockheed Martin’s Aegis Ashore ballistic missile defense (BMD) battery, according to an August report from the Japanese newspaper, Mainichi Shimbun. The paper reported the Defense Ministry is expected to spend “tens of millions of yen” as part of the Fiscal Year 2015 state budget for research into Aegis Ashore — which combines the Lockheed Martin SPY-1D radar with a battery of Raytheon Standard Missile-3 missiles. “The ministry intends to introduce new ground-based SM-3 missiles, in addition to the sea-based SM-3s that the Maritime Self-Defense Force (MSDF) already possesses, to enhance Tokyo’s readiness to intercept ballistic missiles heading toward Japan,” according to the report. When contacted by USNI News, representatives of Lockheed Martin and the U.S. Missile Defense Agency (MDA) did not elaborate on the Mainichi story. 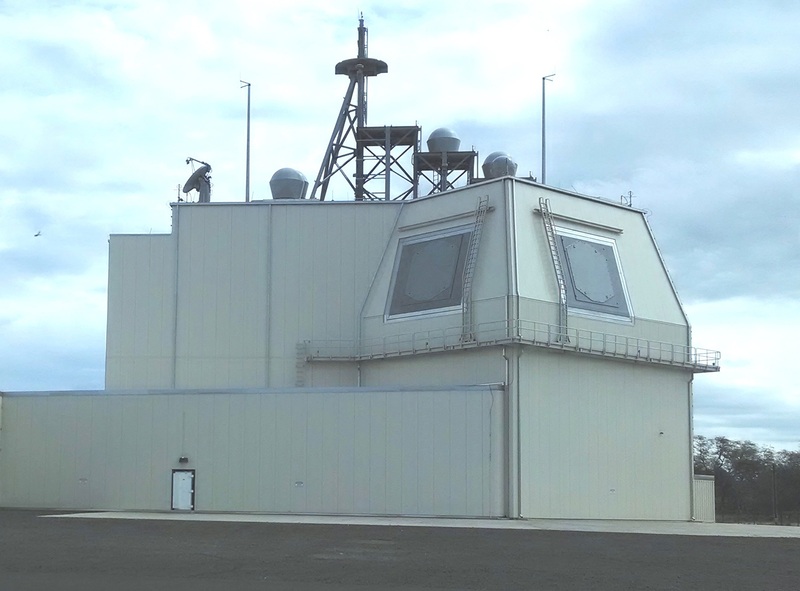 The only MDA effort ongoing in Japan is the installation of a Raytheon Army Navy/Transportable Radar Surveillance (AN/TPY-2) BMD radar, an MDA spokesman told USNI News on Friday. Currently, Japan uses a combination of four Kongo-class Aegis-equipped guided missile destroyers armed with SM-3s for longer-range ballistic missile threats and Lockheed Martin Patriot Advanced Capability-3 (PAC-3) mobile ground based interceptors for missiles closer to their targets. “There are concerns that PAC3s could not respond if a massive number of ballistic missiles were to be simultaneously launched toward Japan,” read the Mainichi report. Japan intends to double the amount of BMD destroyers to eight by 2018, according to local press reports. The Kongos ships use a legacy Aegis BMD configuration that do not allow the Aegis combat system to operate as BMD defense platforms and as anti-air warfare ships simultaneously. Japan is also exploring upgrading at least some of its ships to a more advanced Baseline 9 configuration that would allow the ships to simultaneously act as a BMD and AAW platform. Aegis Ashore operates with a version of Baseline 9 that doesn’t include an AAW component, but given the similarities of the ground based system and the Aegis combat system onboard U.S. and Japanese ships, those capabilities could expand. “This is the Aegis weapon from a ship. It can do AAW, terminal defense and mid-course intercept,” Navy Capt. Jeff Weston, the Aegis Ashore program manager for the Missile Defense Agency (MDA) said last year during a USNI News interview at Lockheed Martin’s Aegis testing facility in Moorestown, N.J.
At the time, Weston said an U.S. Aegis Ashore battery would only concentrate on BMD. “We’re not going to do anti-air warfare in someone else’s country,” he said. However, a Japanese run installation could expand the missile offerings beyond the BMD optimized SM-3s. 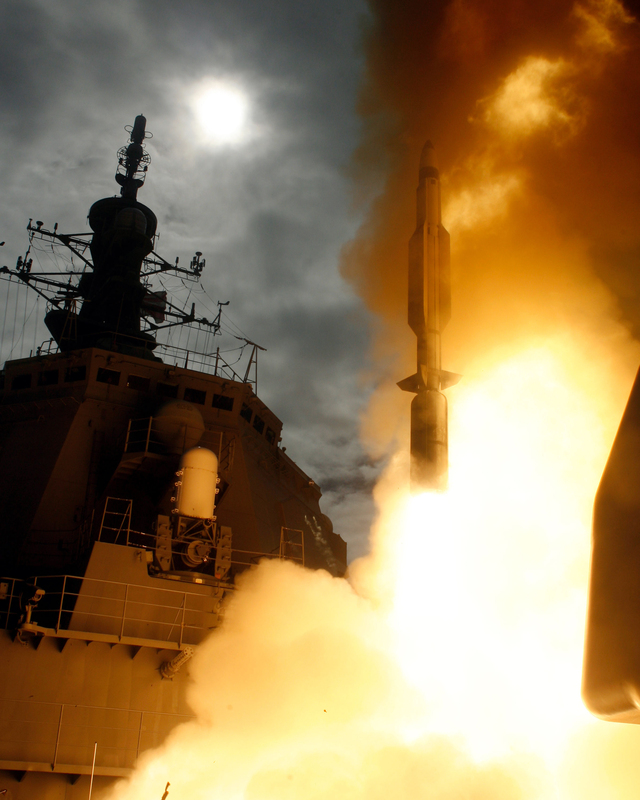 Depending on the configuration of the Aegis Ashore installation, the site could conceivably be expanded to include other AAW capabilities that would allow the site to handle multiple air threats in addition to a BMD mission.